The Burdock Band is an award-winning Birmingham based Ceilidh band that specialises in playing a variety of beautiful melodies to foot stomping tunes, taken from the traditional and folk music genre. Our band is made up of professional musicians from a range of styles, including folk, rock and classical backgrounds. We perform at concerts, weddings, parties, festivals, corporate functions, fundraisers, and school events. Our goal is to provide our clients with high energy, fun and lively entertainment that will get your event popping and the people mingling. 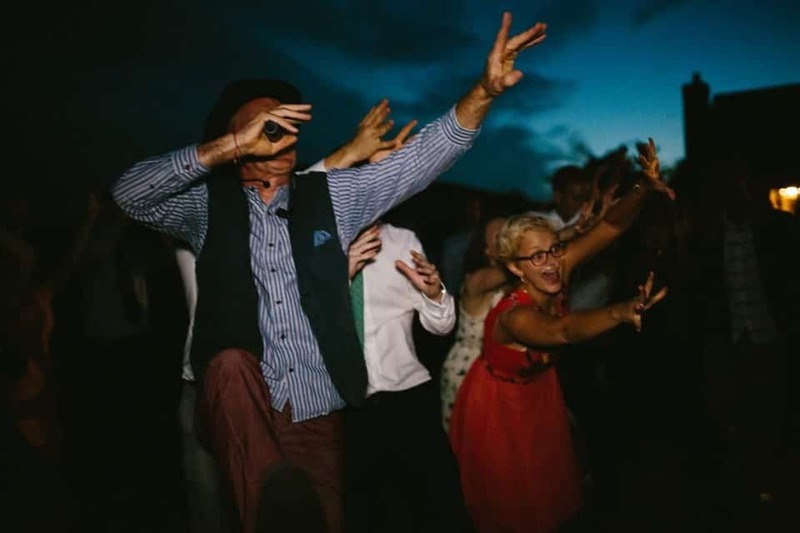 If you are looking for a ceilidh or barn dance at your event, our experienced and energetic caller will inspire and delight your guests up onto the dancefloor for a night full of fun and happiness as they learn new, simple dance routines. No prior dancing experience required. With many years experience in this sector, we offer a professional service, with a lively, dynamic playlist and dances, giving you a truly unforgettable experience. If you are looking for a Ceilidh band for your party, wedding, or corporate event, you are in good hands with The Burdock Band. We’ve done literally 100s of parties and fundraising events over the years in every venue imaginable for every occasion imaginable from Burns Nights, and New Years Eve parties to themed events, festivals, and historical re-enactments. Our birthday party clients have ranged in age from 9 to 90, and including 18/21 year olds. Our band is based in Birmingham, West Midlands, UK, but we are available for hire within a 2 hours’ drive of Birmingham – you can see a map of ‘our patch’ here. As an example of the areas we cover, here is a list of towns and cities where we have played recently: we do often travel further, so worth asking. The Burdock Band features some of the Midlands’ finest folk musicians with years of experience playing with various bands, including The Nighthawks, Seby Ntege, The Kinks, The Destroyers, Terry & Jerry, The Bushberry’s and Last Orders among others. Our team also has a fun, energetic Ceilidh caller full of charm and charisma. We pride ourselves on providing our clients with a reliable, professional service from start to finish, which makes us the ideal band to create the most memorable events. The Burdock Band is made up of 5 band members: between them they have had extensive experience performing in both concert and Ceilidh settings, at events and festivals. The Burdock Band is guaranteed to leave your guests and audiences feeling entertained long after the party is over. Depending on the size of your event, budget or physical location, the band size varies from a three-piece band to our full five piece line-up, with or without a caller. Our Ceilidh band is comprised of several instruments, including fiddle, percussion, flute, pipes, whistles, guitar, accordion, and even a hurdy gurdy. We can offer a singer on request if you fancy adding some traditional songs to your event. Our caller takes the time to understand your audience to determine the best dances to pace things up. They then let the band know whether to do a variety of fast energetic paces, or something more gentle, stick to old favourite jams, or try something a bit more unusual. We also provide Ceilidh entertainment services without a caller at a reduced cost. When it comes to set duration, the times vary depending on what role you envisage we play in your event. For a typical setup, we highly recommend two, 60-minute sets with a 30 to 45-minute break between them, depending on what you have planned for the break. We can play our own, or your music, through our PA during the break. The Burdock Band is an award-winning Ceilidh band. We are the regional winners of the 2015 Wedding Industry Awards. We also earned the Gold Certificate of Excellence from the Wedding Awards 2018. We are verified Encore Artists and have been featured on BBC Breakfast, Hitched UK, the AMP band among others. We play a wide variety of European Celtic music featuring Scottish and Irish tunes. We have great respect for the Ceilidh tradition and the continuing inspiration and creativity that keeps it alive. That is why we play long established tunes alongside more modern-day and original music with passion. Our sets feature well known popular traditional tunes, fast-paced Gaelic music and soulful waltzes. The cost of the band is calculated on the size of band, your requirements, and on your venue distance from our HQ in Moseley, Birmingham. We also offer discounts for early bookings, so we recommend you submit the enquiry form to get a price. Where did Ceilidh originate from? The Ceilidh originated in the Gaelic areas of Scotland and Ireland. It was a casual gathering of family, friends, or locals for a merry social event. This gathering may have included songs, dance moves, and music for everyone to join in regardless of age or ability. A Ceilidh provided a great way to meet lots of people in a fun and informal way. At an Irish Ceili, the dancing is often interspersed with poetry, storytelling, and poetry. At the Scottish Ceilidh, the emphasis is put on a set of traditional dances, including the Gay Gordons, Virginia Reel, Military 2-step and Strip the Willow. The different spelling of Ceilidh such as Ceili, Kaylee or Kayleigh are essentially all regional variations. 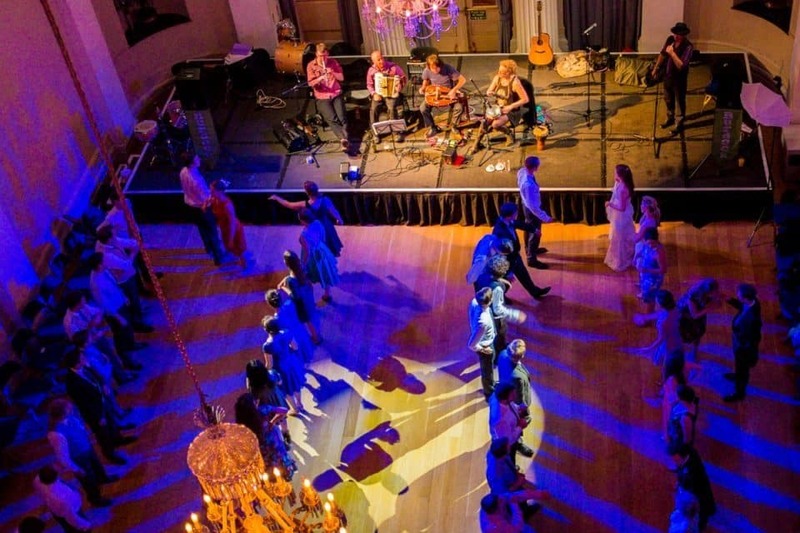 What does Ceilidh mean in English?